Learn how design drives facility success and get insight to building an attractive, efficient project. Topics include office design, multi-story, landscaping, and the role of design in community relations. 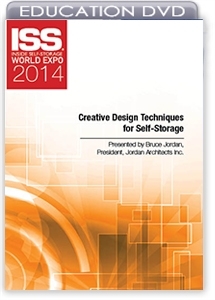 The evolution of self-storage design has been significant in a relatively short time span. The new generation of facilities has been designed for better customer service and to present a more, functional, architecturally refined and friendly image to the community. User-friendly designs will help accelerate the lease-up period and meet customer needs. In this session, you'll learn how design drives facility success and insight to building a project that is attractive and efficient.